BLOG: Weekend Fun - Cartoon of the year - Kid planning a career in organised crime! 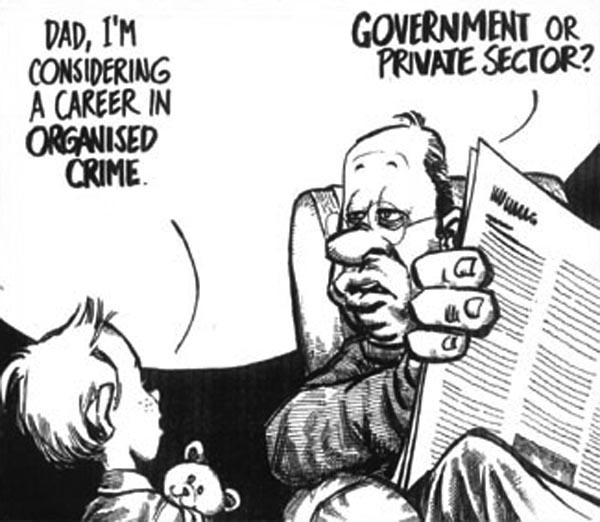 Weekend Fun - Cartoon of the year - Kid planning a career in organised crime! HA HA HA - That is sweetly drawn. Snicker, what an awesome sentiment!!! So true! Funny, Bhavesh, but the government criminal seem to get away with it more!